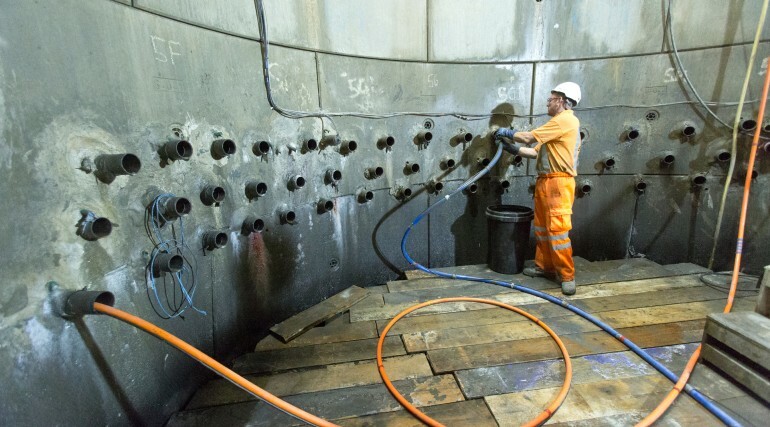 Stabilising the ground during tunnelling - Crossrail . For information about the Elizabeth line please visit the Transport for London website. 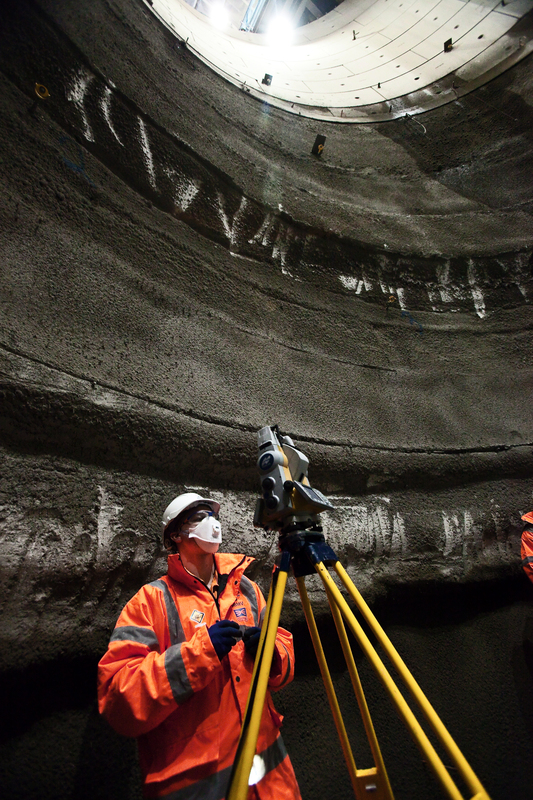 Before tunnelling could begin, detailed investigation of the ground had to be undertaken. Ground investigations were performed by taking core samples from various locations along the route. 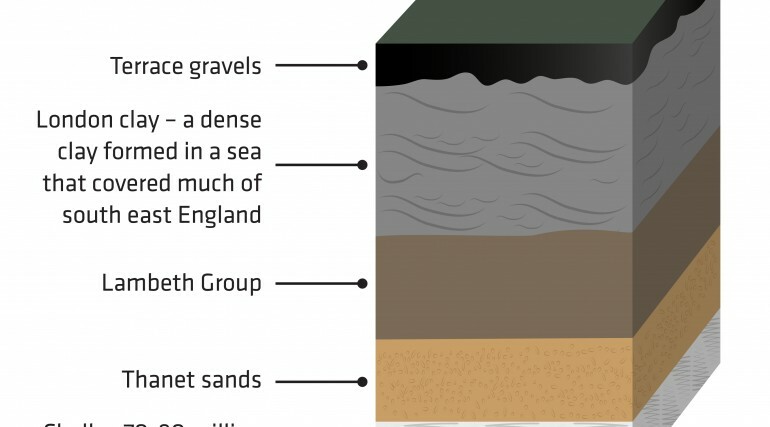 A core sample is taken by drilling a cylindrical section of earth to determine the type of earth and the number of geological strata at a given location. Over 1,000 core samples were taken before tunnelling began. 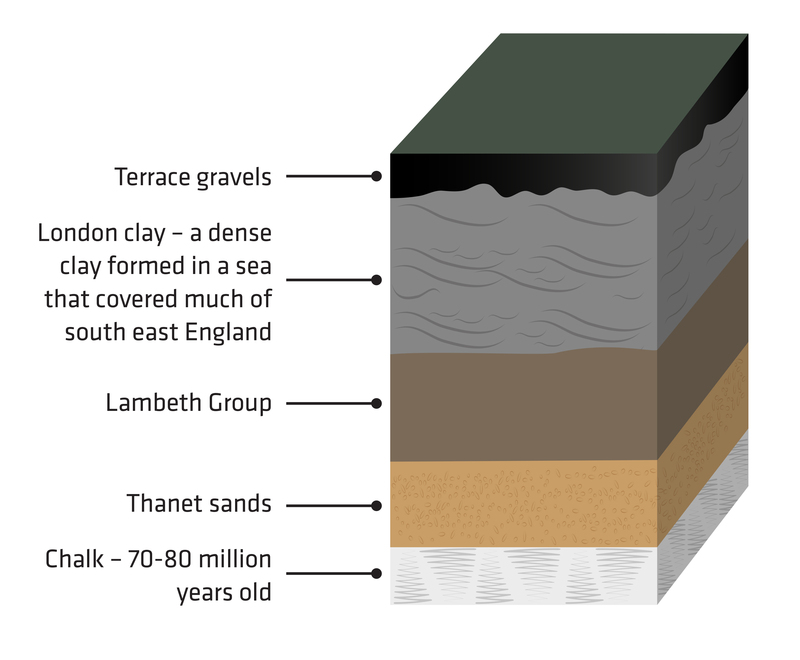 The samples showed how millions of years of geological activity have shaped the ground on which London sits. This detailed testing determined the machines to be used and the mitigations to be undertaken, to manage the tunnelling job. While straight running tunnels present a simple pattern of ground movement, areas of shallow excavation or multiple tunnels posed a greater challenge. Station tunnels, platform tunnels, cross passages and escalator barrels often had to coexist in small areas; the cumulative ground movement effect could have been significant. To help prevent any adverse impact to buildings on the surface and utilities around some construction sites, the ground was treated to compensate for any movement. Across central London a technique known as compensation grouting was used to stabilise the ground. 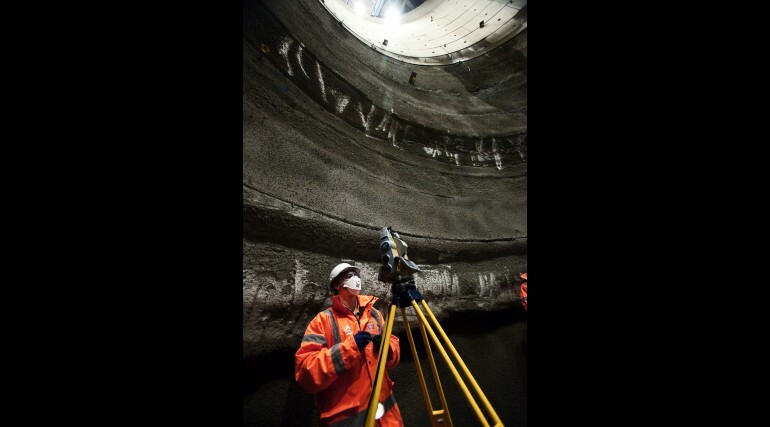 Engineers created a number of vertical shafts several metres deep. From the shaft walls, small horizontal pipes were installed into the earth radiating from the shaft. 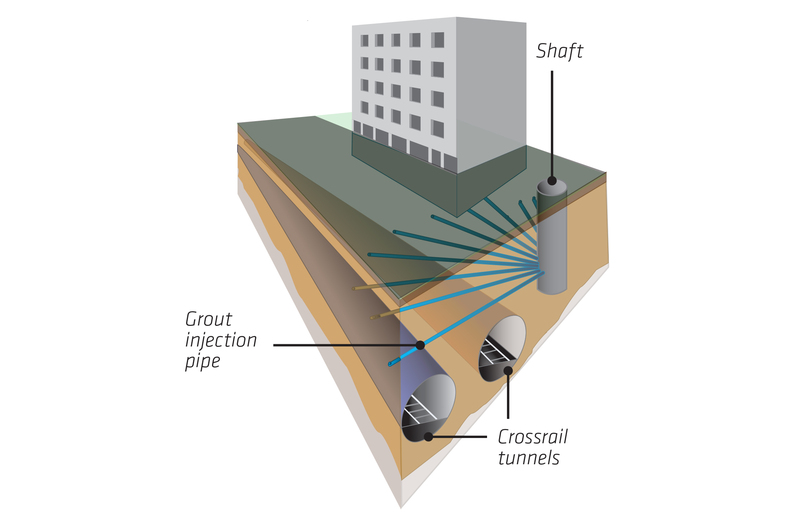 A cement-like substance known as grout is injected into the pipes, reaching deep into the ground. This process lifts the ground in specific locations and helps to reduce any differential settlement that may have occurred at the surface. Once the tunnelling is complete, the shaft is backfilled and the ground reinstated. 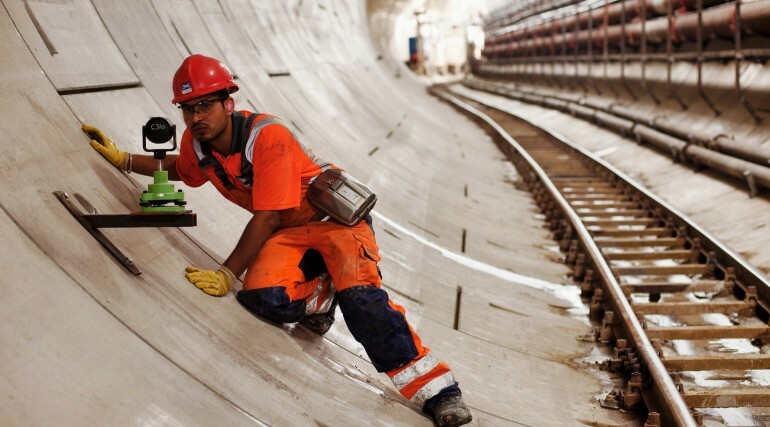 Compensation grouting was used at Bond Street, Tottenham Court Road, Farringdon, Liverpool Street and Whitechapel. 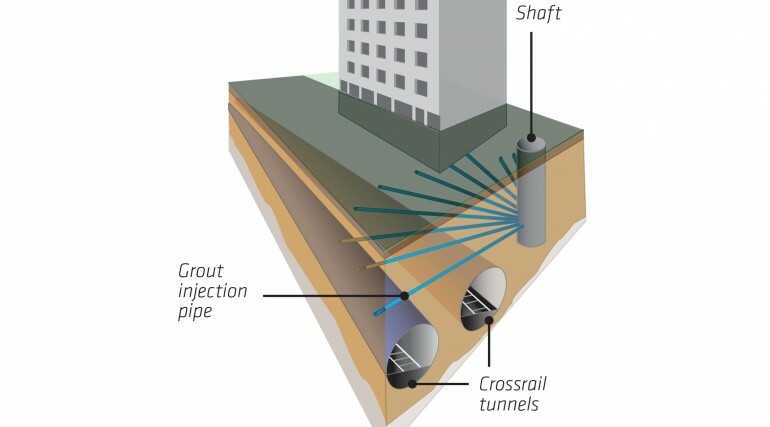 Any tunnelling underground carries a risk of ground movement and potential impacts to the buildings above. 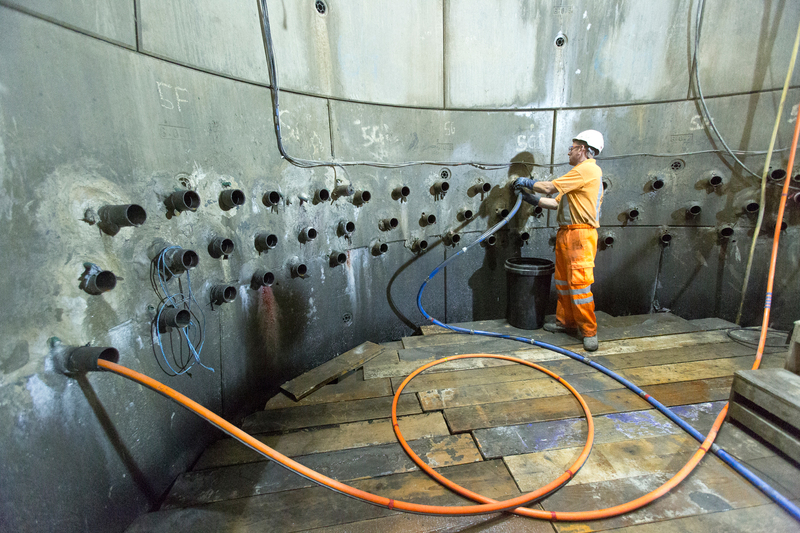 To minimise movement, tunnel boring machine crews maintained tight control of the pressure at the face of the machines, precisely correlating the rate of advance with the weight and volume of excavated material. 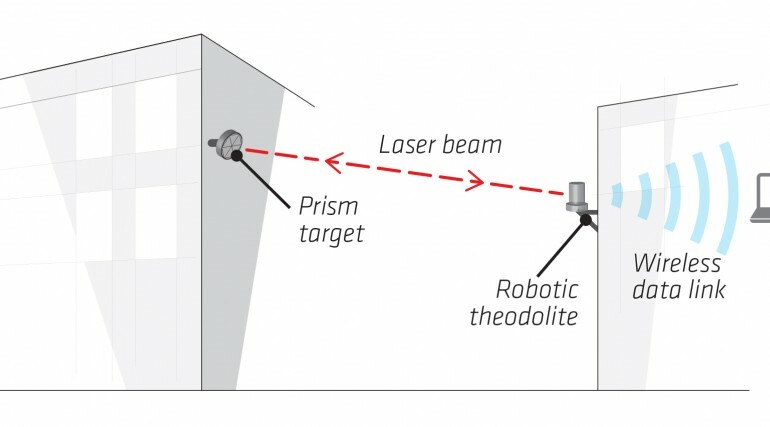 Robotic theodolites compiled data from targeted prisms attached to buildings along the route. Hydraulic levelling cells were used to detect small changes in water level. Hand-held theodolites were used for manual monitoring at the surface. Additional theodolites picked up data from prisms attached to the interior excavated walls of new tunnels. 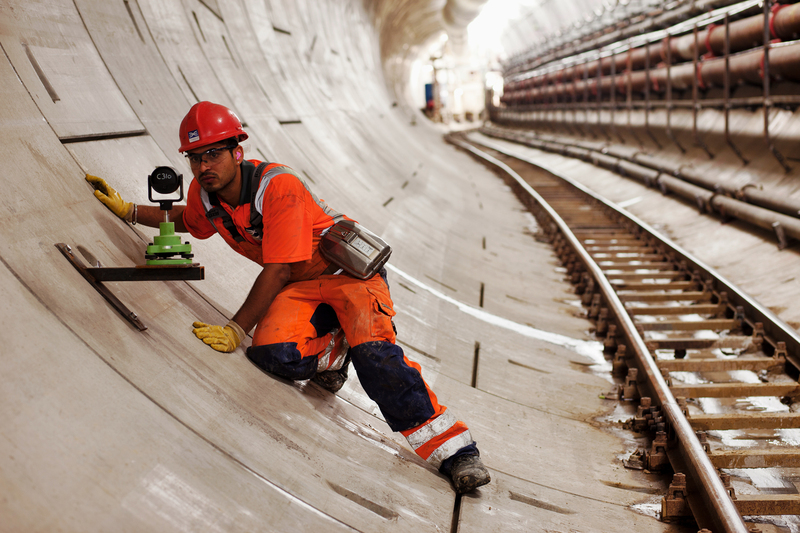 Extensometers were installed to measure movement below ground. This wealth of data created a comprehensive picture of the impact of works and ensured the team could respond where necessary to protect the buildings above ground from damage.